New York Times, May 2, 1970. 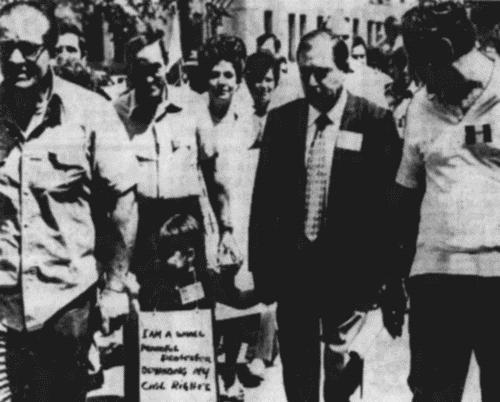 On April 30, 1970, Mafia boss Joseph Colombo responded to the arrest of his son, Joseph Jr., by organizing protest marches around the FBI headquarters in New York City. A meeting to set up the march reportedly occurred within a half-hour of the 4:30 p.m. arrest. Just two hours after the arrest, about 20 people assembled outside the FBI offices at Sixty-Ninth Street and Third Avenue. Colombo, his wife and another son joined the protesters at 7 p.m. The following day, the protest picket continued, swelling to several hundred marchers. Colombo said the demonstration was to call attention to anti-Italian discrimination and harassment by the FBI. Signs carried by the marchers objected to the fact that federal action against organized criminals focused on Italian-Americans. At the time, Joseph Colombo Sr. was under indictment for tax evasion and lying to a state agency to obtain a real estate license. He had been installed as leader of the Brooklyn-based Profaci Crime Family when Profaci successor Joe Magliocco was forced to resign by the Mafia Commission. Federal officials suggested that the Commission would not be happy with Colombo's attention-getting demonstrations. 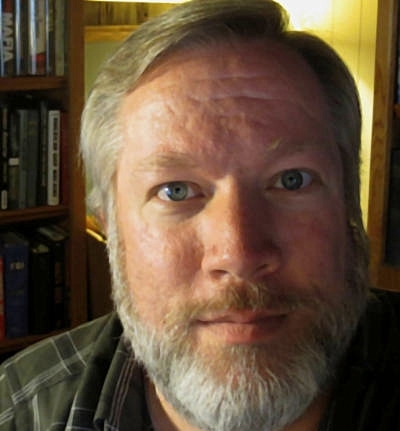 Associated Press photo. Colombo, in suit, marches in anti-FBI demonstration. Joseph Colombo Jr. was charged with extortion against a coin collecting business and with conspiracy to melt a half million dollars' worth of silver coins and sell the silver in higher value ingots. Press attention to his father's protest movement caused a mistrial in this case on Dec. 1, 1970. Colombo Jr. was acquitted by a jury in February 1971. Colombo organized two league-related Italian Unity Day rallies at New York City's Columbus Circle. He was shot three times, once in the head, at the second rally in 1971. The hit (occurring two weeks after his visit to Buffalo) reportedly was ordered by other Mafia bosses. Colombo was left almost entirely paralyzed by the shooting. He lingered for years at the family estate in Blooming Grove, Orange County, New York, until his death in May 1978. The immediate cause of death was cardiac arrest, but doctors linked his passing with the gunshot wounds suffered seven years earlier. 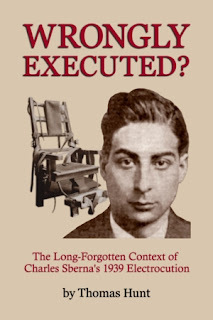 In 2016, Colombo's son Anthony (author of Colombo: The Unsolved Murder) suggested that a conspiracy of federal and local law enforcement officials may have been responsible for the assassination of his father. Anthony Colombo said he was certain that Mafia bosses were not involved. Conover, Nelson J., "Joseph Anthony Colombo," FBI report, file no. 92-5509-137, NARA no. 124-90156-10004, March 3, 1969. "Reputed boss faces tax count," Poughkeepsie NY Journal, March 25, 1970, p. 24. 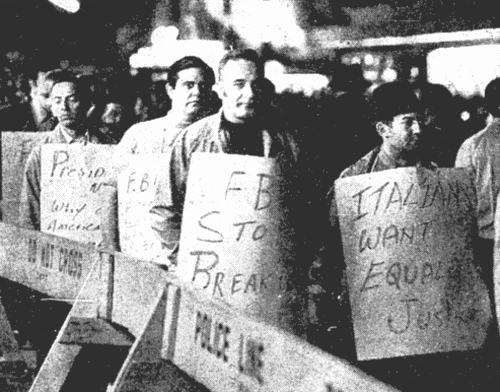 Whitney, Craig R., "Italians picket F.B.I. office here," New York Times, May 2, 1970, p. 35. "Colombo acquitted in conspiracy case," New York Times, Feb. 27, 1971, p. 1. "Public relations: A night for Colombo," TIME, April 5, 1971. Gage, Nicholas, "Colombo: The new look in the Mafia," New York Times, May 3, 1971, p. 1. Farrell, William E., "Colombo shot, gunman slain at Columbus Circle rally site," New York Times, June 29, 1971, p. 1. Sibley, John, "Hospital emergency room a mixture of chaos and efficiency after shooting," New York Times, June 29, 1971. "The Nation: The capo who went public," TIME, July 12, 1971. "Joseph A. Colombo Sr., 54, paralyzed in shooting at 1971 rally, dies," New York Times, May 24, 1978, p. 29. Raab, Selwyn, Five Families: The Rise, Decline, and Resurgence of America's Most Powerful Mafia Empires, New York: Thomas Dunne Books, 2006. Colombo, Anthony, "Did the FBI kill my father?" Huffington Post, Feb. 9, 2016, updated Feb. 9, 2017. DiCarlo: Buffalo's First Family of Crime, Volume II - From 1938 by Thomas Hunt and Michael A. Tona.